In the historic and reflective setting of Leicester Cathedral, Let’s Dance International Frontiers 2019 will launch with an exciting new commission by Haitian choreographer Jeanguy Saintus and his company Ayikodans. 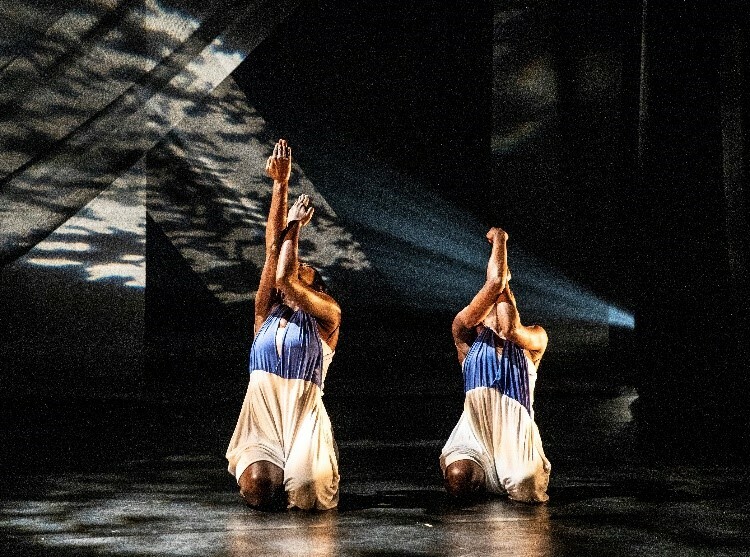 Ayikodans highlight the emergence of a new, contemporary Haitian aesthetic that, while rooted in folkloric tradition, reflects a modern Caribbean culture and creativity. The company present work that showcase tenacity and survival against the odds. Those who attended LDIF18 will be familiar with Jeanguy Saintus’ unique cross-cultural body language that speaks with the power of remote times and places. Ayikodans have performed internationally across the Americas, the Caribbean and in Europe. Most recently, Jeanguy has re-envisioned Stravinsky’s Rite of Spring for Phoenix Dance Theatre. Ayikodans’ performance for LDIF19 marks International Dance Day. Advanced booking is essential.